Eighty-one students from three East Hawaii high schools are excited about more than turkey and family this Thanksgiving. For the last eight weeks they have designed, test-marketed and manufactured their companies’ products, and on Black Friday they’ll find out how well their wares sell during the Junior Achievement Trade Fair. The annual two-day event will be held at the Prince Kuhio Plaza on Friday and Saturday, November 24 and 25, from 10:00am to 5:00pm each day. 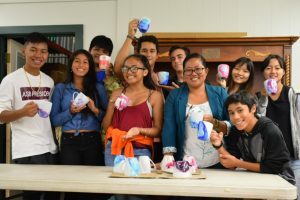 The students are organized into three companies, each sponsored by a local business and advised by members of Hilo’s business community. Branching Out is the JA company sponsored by Big Island Toyota. They will feature handmade hemp-cord and seed bead wish bracelets as well as custom-decorated gift card holders. “As you wrap the wish bracelets around your wrist you make your wish, which can correlate to the color of the beads. After a bit of ‘wear and tear’ the bracelet will break and your wish will be released,” says company president, Brittney Williams. “Releasing your wish does not guarantee that it will come true,” Williams adds. HFS Federal Credit Union sponsors the company, Young Creations, who will be selling laser-cut earrings and stone bead bracelets at the Trade Fair. “We’ve thought a lot about quality,” says their student President, Daniel Briski. 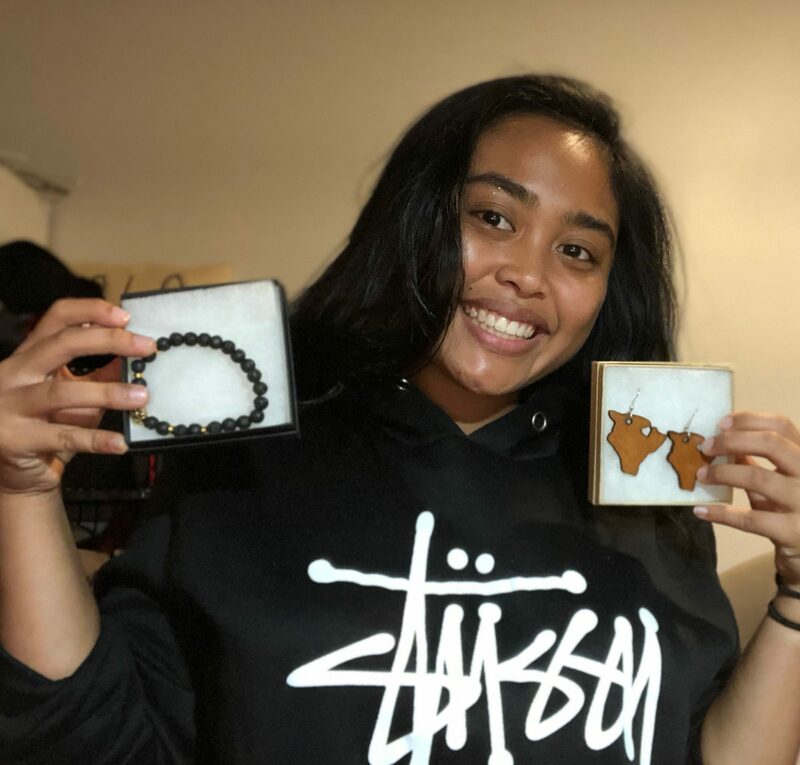 Briski explains, “The earring hooks are kidney shaped, making the wooden design secure, and hypoallergenic.” “JA teaches you a variety of different skills, including how to work as a team with people from different backgrounds that you’ve never met before,” says Briski. Give Aloha, Foodland’s Annual Community Matching Gifts Program Begins!